Remember that Death Wish Coffee commercial from Super Bowl 50? The 30-second commercial with burly vikings on a ship made big waves for the independent coffee roaster, who made the most of their moment on advertising’s biggest stage. Owner Mike Brown said it resulted in 20x increase in sales in the weeks following the Super Bowl. This type of high-gloss, big-budget advertising is practically unheard of in the specialty coffee world. In fact, Death Wish would not have had the $5 million commercial spot if it wasn’t for Intuit Quickbooks, who ran a contest for one small business to be featured in the big game. According to a survey we recently conducted with the help of Barista Magazine, the typical marketing budget of a specialty coffee shop is much more modest. In the survey that received 1,200 responses from coffee shops and customers, we found almost 70% of coffee shops spend less than $100 per month on marketing. That means Quickbooks could have covered the monthly marketing budget of nearly every coffee shop in the United States for the same cost as Death Wish’s one Super Bowl ad. Even more amazing is that nearly 40% of shops spend a total of $0 on marketing. In the age of multi-million dollar commercial spots, how does an independent coffee shop attract new customers? Thanks to the data we collected from the survey, we were able to identify six different marketing strategies coffee shops are using to attract new customers. The following six points include interesting trends in coffee shop marketing as well as advice from real coffee shops. Employing a mix of these strategies can help coffee shops earn new customers for less than $100 a month. The simplest way to earn new customers is by making your coffee shop appealing to people passing by. We asked coffee shop customers to think about the most recent time they visited a new coffee shop and how they discovered it. Surprisingly, the number one way customers discovered new shops was by passing the physical location. This means looks still matter, as much as we’d hate to admit it. Neglecting the storefront could mean missed opportunities for coffee shops to catch the potential new customer wandering by. 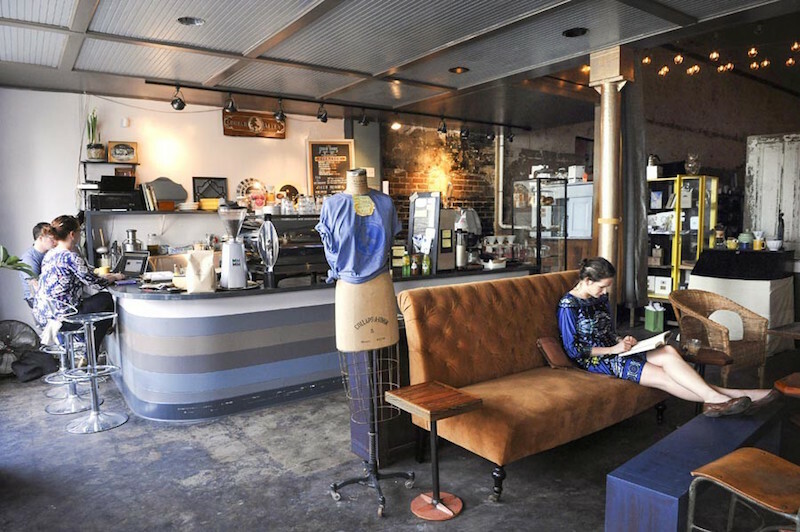 How can coffee shops make their storefronts more appealing? Many have used simple tactics to grab attention of passing traffic. Despite the growing trend of sign-less storefronts, many shops still find them critical. Signage goes beyond the letters hanging above a front door. 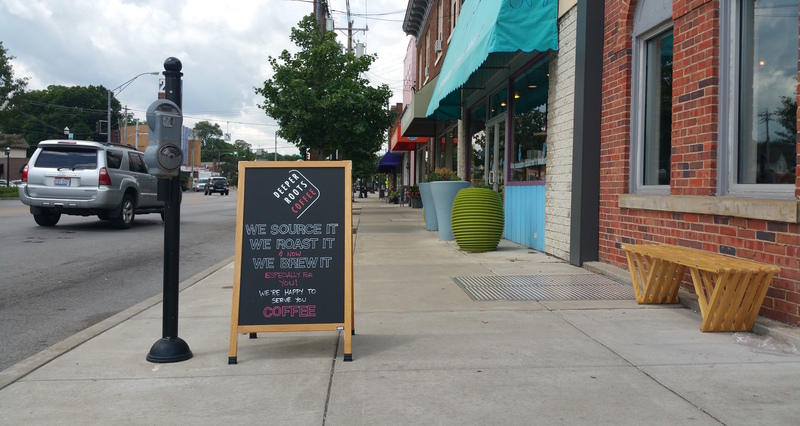 Signage can help direct traffic into a coffee shop whether it’s on Main Street or on the outskirts of town. If a shop is lucky enough to have foot traffic outside the shop, slowing customers down with free samples is a great way to introduce them to the store and product. First impressions matter, and the first impression for a coffee shop is the storefront. 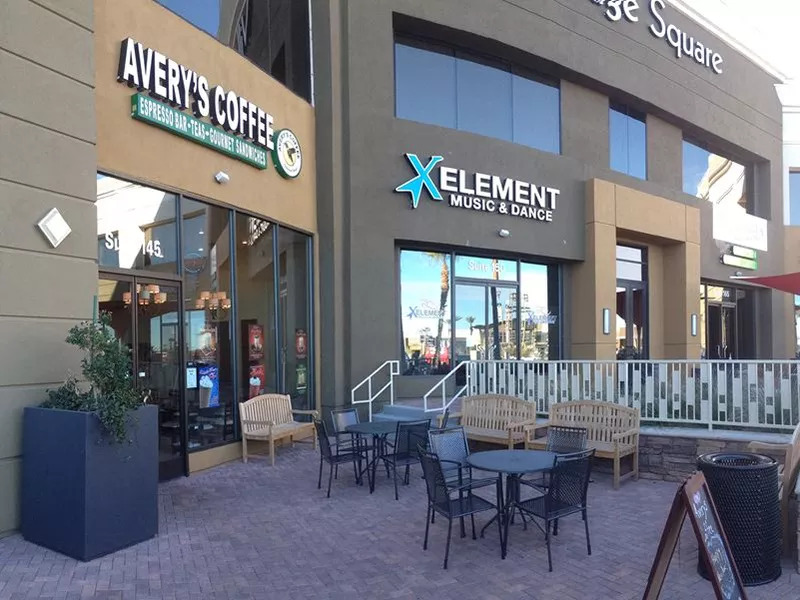 How do coffee shops make their storefronts stand out from the others? 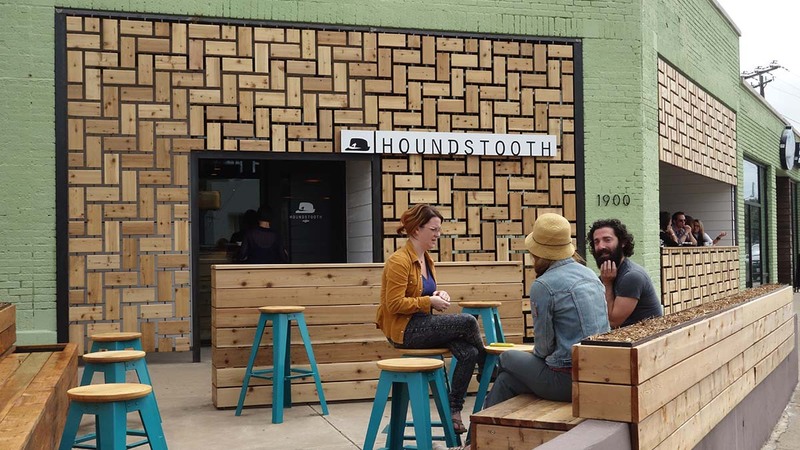 Houndstooth Coffee in Dallas, Texas is a great example of turning a boring storefront into a piece of art. The visual appeal of the shop catches the attention of everyone passing by whether or not they’re looking for coffee. Shops don’t need to completely renovate their storefront to stand out. A coat of new paint or an A-frame sign on the sidewalk can work just as well. Creativity and individuality are key in standing out among other businesses in town. 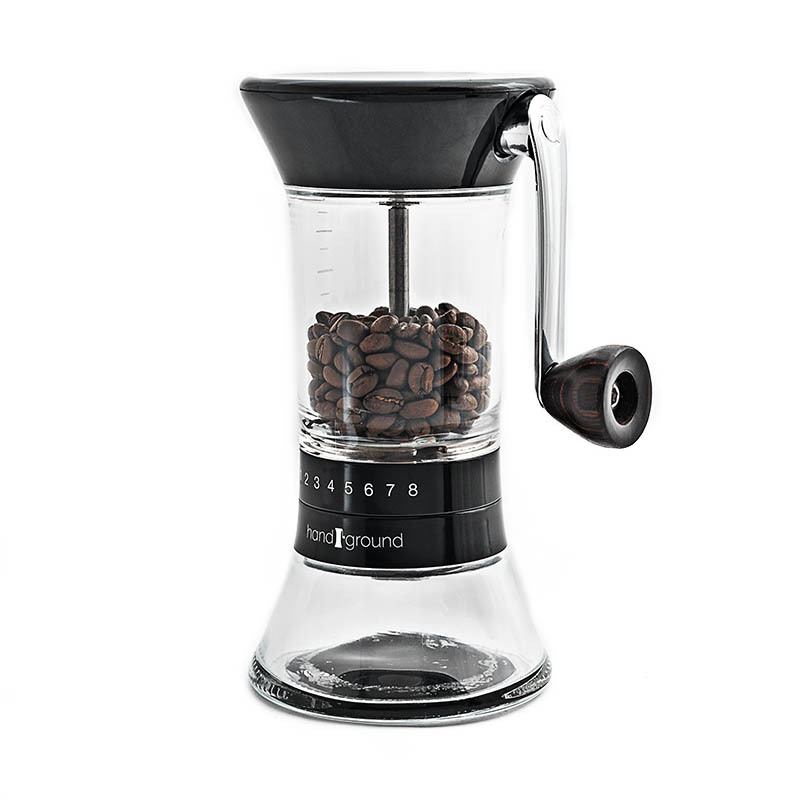 Have you heard about the Handground Precision Coffee Grinder? This article was created by the same community of coffee enthusiasts that created the Handground coffee grinder. The communities goal was to make it easy to achieve a consistent grind for any brew method. Handground is an affordable alternative to expensive electric burr grinders for new coffee drinkers and the perfect tool to add to a manual brewing setup for experienced coffee drinkers that prefer to leave their electric grinder dialed in for espresso. Handground is selling well in coffee shops around the world and we would love to work with you to introduce it to your local coffee community. Generating word of mouth marketing starts and ends with the customer experience. Average things doesn’t inspire many people to talk, but people love telling others about an exceptionally good--or bad-- coffee shop experience. That’s why going above and beyond customer expectations is the key to generating positive buzz. There’s nothing like a little bribe, right? Shops can offer treats to customers to recommend friends. Tech companies like Dropbox and Uber offer free storage and rides, so why shouldn’t coffee companies reward their evangelizing customers? Nothing turns a good experience into a bad one like a coffee shop acting selfishly. The number one goal of a coffee shop should be to make a customer happy, and that extra effort will go a long way in positive word of mouth marketing. Word of mouth doesn’t just start with customers. Influential bloggers in the area can start the buzz if shops give them an exceptional experience. Listening to customer feedback is an easy way for shops to make customers feel connected. Following through on feedback is a way to earn customers for life. We had so much great information on these two topics that we actually have entire articles dedicated to them. Check out “What is Quality Coffee” and “48 Factors of Surprise and Delight” for more ways to please customers and generate word of mouth marketing. Social media is no longer new, but we found some interesting data that suggests coffee shops still have new opportunities to engage with customers online. While both coffee shops and their customers use Facebook, Instagram, and Twitter regularly, coffee shops are largely absent from other prominent platforms like Youtube and Snapchat. Snapchat is still young and is the least popular of the social media platforms we asked about, but we found customers use Youtube almost as much as they use Facebook, which begs the question, how could coffee shops use this platform to reach new customers? So far we only know wouldn’t work, at least according to the survey. We asked customers if a coffee shop video walkthrough would be valuable when deciding to visit, and the majority said no. However, very few coffee shops do this at all and customers may grow to appreciate it once they see one. Still, a ripe and underutilized social media community is available on Youtube and Snapchat to creative coffee shops who want to stand out from the crowd. Some coffee shops fail to recognize that social media is a different type of marketing platform than TV, newspapers, and radio. Companies should be human by holding real conversations with customers and genuinely trying to help. Social media gives new coffee shops a chance to interact with future customers before they even open to the public. This spreads awareness about the new company and creates an audience for important announcements like the Grand Opening. Consistency is important in every facet of the coffee business. In fact, the Handground Content Team determined that consistency is the most important characteristic of quality coffee. Just as customers expect excellent drinks every time they enter a shop, they expect a consistent flow of content from coffee shops online as well. Sharing expert knowledge is a perfect way for independent coffee shops to differentiate themselves from big box coffee stores. Educating customers in person or through a company blog can help coffee shops earn customers interested in learning more about coffee. Coffee shops rely heavily on the relationships they have with customers, so being active online is not enough. Sponsoring and participating in local events exposes a coffee shop to potential new customers while also reinforcing their brand for regulars. Doing a soft opening of a coffee shop before the grand opening is a good idea for several reasons. First, it gives a new staff time to learn with real customers in the store. Second, a shop can host local groups for events leading up to opening which will generate buzz around the community. Another way to interact with the community before opening is by hosting classes in the shop and around the community. Methodical Coffee in Greenville, SC did this and were able to show off their expertise while winning new customers before day one. 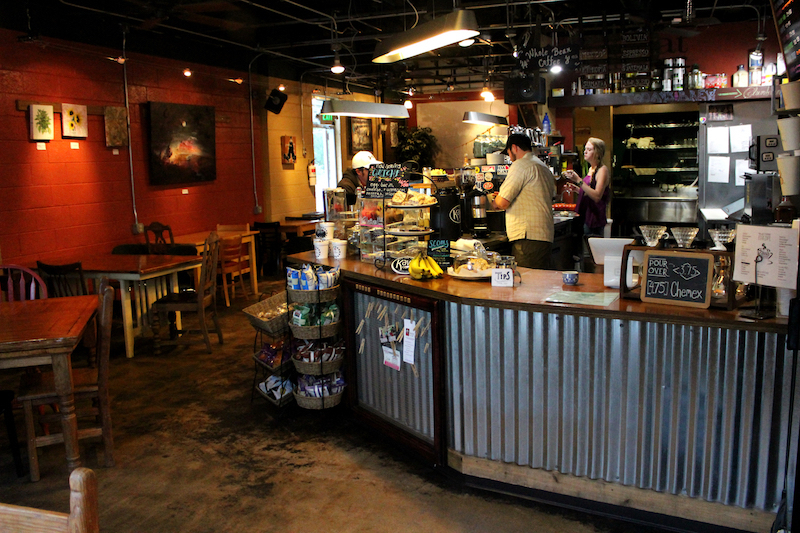 Coffee shops in the same city often work together to create a neighborhood coffee culture. Some cities like Portland and Columbus, Ohio have even created “coffee passports” to encourage customers and tourists to visit different shops around town. All coffee shops benefit when there is a feeling of community within a neighborhood. Contrary to popular belief, review sites like Yelp are not just for the vocal negative majority bent on destroying company reputations. In fact, most Yelp users leave 4 or 5 stars, meaning coffee shops should focus less on quieting the haters and more on pleasing customers. Through the Barista Magazine survey we found that sites like Yelp and Google are the third most popular way customers discover new shops. Shops with a large number of positive reviews tend to show up first in Google searches and are more appealing to customers using Yelp to choose a coffee shop. We also found that coffee shops can increase the number of reviews they receive by simply asking customers or leaving reminders around the shop. According to the data we collected from the Barista Magazine survey, coffee shops who asked for customer reviews had an average of 40% more reviews on Yelp than shops who did not ask. These extra reviews came at no cost to the shop’s star rating, meaning the shops who ask for reviews end up ranking higher than those who don’t ask. Coffee shops who encouraged customers to leave reviews averaged 163 reviews on Yelp with a rating of 4.27 stars. Shops who didn’t ask had an average of only 97 reviews for a total of 4.31 stars. Regular Yelp users have seen discount offers from companies when a user checks in. This is a great way to not only attract new customers, but also encourage them to leave a positive review. Sometimes asking for feedback is easier after a customer has made a comment about great service. Customers love helping out businesses they appreciate, so don’t be afraid to ask. Asking for reviews can be subtle. Some shops use signs on the wall or cards on the tables to direct customers to leave reviews and check out social media pages. Why keep a positive customer review secret? Another great way to encourage customers to leave reviews is to post reviews from other customers online or in the store. “Facebook statuses with positive reviews from other customers. ‘Check out what so and so has to say about our current drink special…’"
Some wifi services direct users to a website page immediately after logging in. Coffee shops that use this type of service can decide which website the customer sees, and many use it as a chance to ask customers for an online review. There are many untraditional forms of marketing that coffee shops use to attract new customers. This does not mean good ol’ fashioned advertising doesn’t work anymore. Many coffee shops effectively use paid advertising and coupons to reach new customers while still spending less than $100 per month. According to the Barista Magazine survey, the most popular paid advertising method for coffee shops is Facebook ads. We believe this is for two very good reasons: Facebook ads can target the local community, and they are cheap. The beauty of Facebook ads is that they allow a coffee shop to target the friends of people who have already liked their Facebook page. For $2-3 per day, coffee shops can reach potential new customers with a digital “friend recommendation” already in place. This works on the same idea as the word of mouth marketing strategy we mentioned before. Facebook is not the only way coffee shops spend money on advertising. Online discounts, paper coupons, and t-shirts are also good uses of small marketing budgets to attract new customers. Groupon had it’s moment in the sun several years ago, but it still has a devoted following of deal-seekers that use it daily. The key to effectively running a Groupon ad is to turn the rush of new customers into regulars. Paper advertisements are not dead. A coupon for free or discounted drinks is easy to hand out around the neighborhood and easy to track its effectiveness. It gives potential customers in the area a reason to come see the shop without committing to buy anything. Why should ads sit in a newspaper just to be thrown away? Some of the best advertisements are wearables. People love rocking stickers, t-shirts, and water bottles from brands they love. They serve as conversation pieces for customers who get asked by others to explain your brand. Creating merchandise doubles as a customer loyalty strategy as well as a way to earn new business. It’s a win-win-win. To measure the effectiveness of this tactic, offer a discount on drinks whenever a customer comes into the shop wearing the shirt. This way shops can get an idea of how often people are wearing them and estimate the exposure they receive. Offering discounts on social media helps a shop build their online community while also attracting new customers. The power of customer recommendations cannot be overstated and is worth the 10-15% discount given to those who make posts about a company. Which mix of marketing strategies is best for your shop? We can’t say. We do know that earning new customers comes down to quality coffee and customer service. No marketing tactics will be able to save your coffee shop without these fundamentals. Customers are happy to help spread the word about a shop that makes great coffee and treats customers exceptionally well. The strategies we mentioned above will only enhance these efforts by a coffee shop, but they cannot replace them. With the fundamentals of quality and customer service in place, coffee shops can easily earn new customers while spending less than $100 per month. How will you use your money?